self – Ready, set, KO! 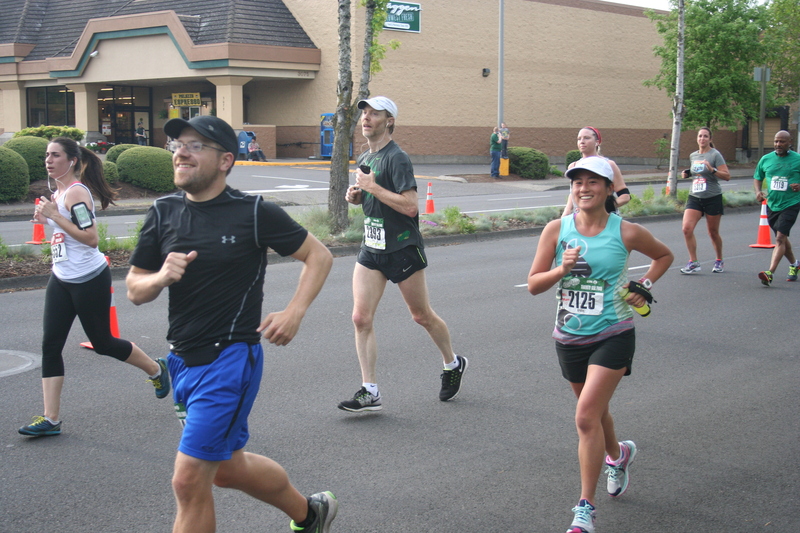 I’m trying to remember what I felt when I was racing those early miles at the Eugene Marathon — or even any of my long training runs leading up to that race. Because I felt great during all of those miles. I felt strong, fit and fast. The race was a month-and-a-half ago, yet my body feels like it was half-a-year ago. I feel like I’ve lost my base, my fitness, my speed — all of it! Several weeks ago I began feeling very sluggish and well, “fat.” And, yes, I know you are rolling your eyes but as a runner, when you gain a little weight, it makes a huge difference. 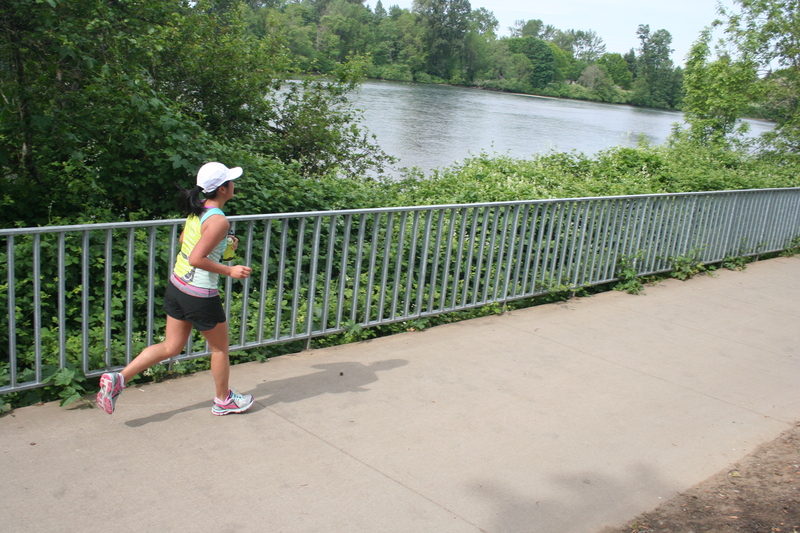 I scrolled through all of the photos my dad captured of me during Eugene. And, even the ones on the track where I am in oh-so-much-pain, at least I still look (kind of) strong. This means being disciplined and start running regularly again. I haven’t pinpointed what my next race will be so for now I will develop a base so that when training begins, I won’t have to start from square one. Because, right now I feel like I’m at zero. But starting at zero means there’s nowhere to go but up. My friend asked me what I had planned for tonight. Not running was high on the list. (Yay for honoring the rest days!) I’ve got to say though, my brain is so well-trained that I automatically go to change into running clothes immediately when I get home from work. Instead of running in my running clothes, today I took out the trash, recycle and food waste, unloaded the dishwasher, folded laundry, did core and strength training, AND made lasagna. Training for a marathon is a lot of work. Whenever I tell my mom that I am tired, she tells me to not do marathons, that they take up too much of my time. Yes, they do take up a lot of time. But, I think it’s worth it. Yes, I rarely get to see a weekend where I sleep in, but I can sleep in once my marathon is over! And, it’s all about prioritizing and making the time. It was nice that today I had “nothing” to do. It was relaxing to do the chores that I normally should do on the weekends but as of recent have not had the time or energy to do so. As someone who loves to jam-pack her schedule with lots of activities, it’s the afternoons/evenings like these where I am reminded that alone time is just as important as social time with friends. It keeps you sane. It keeps you well-rested. It continues the word-flow on your blog. And, it gets the trash out on a Monday afternoon (which is a good thing since pickup is Tuesday). A year ago, I didn’t feel like a “real person.” I wasn’t employed. I was living in my parents’ house in the bedroom with pastel-colored walls that I spent my adolescence in. I was still covered under my mom’s health insurance. I didn’t think I was contributing to society in any significant way. I was in my quarter-life crisis. HOWEVER, I am far from being a real person still yet. But, I pay bills! Just the other month I had to shell out more than $190 for physical therapy. Yeah, still doesn’t matter. There’s a lot I’m not paying for. The reason I can afford to save about 20 percent of my monthly salary each month (which is barely anything to begin with — hello, I’m a journalist!) is because I don’t own my car and pay for my own auto insurance. Some day I will pay my parents back. On multiple occasions, my dad has kindly offered to fill up my gas tank. At the end of every weekend, my mom sends me off with a bag of groceries, so I don’t spend much on food during the work-week. Eventually, I will pay them back. If it weren’t for them, I honestly don’t think I would be saving any money at all. I would be scraping to make ends meet. I would not be able to come back to the city every weekend — a one way ferry ride with the car is $12.15. So, some think that I am a real person, but really, I am a fake real person. The other morning I received a text from a friend at 6:17 a.m. It woke me up from my slumber. He was somewhere at an airport in a different time zone. Afterward I mentioned to him that it was pretty early when he sent the initial text. His response: I realized this too late, I think I was hoping you were already up for your job-profession? Even though I have a “professional” job, it doesn’t mean I wake up early either. I guess I am a fake real person who shows up at the office around 10 a.m. — sometimes 10:30.